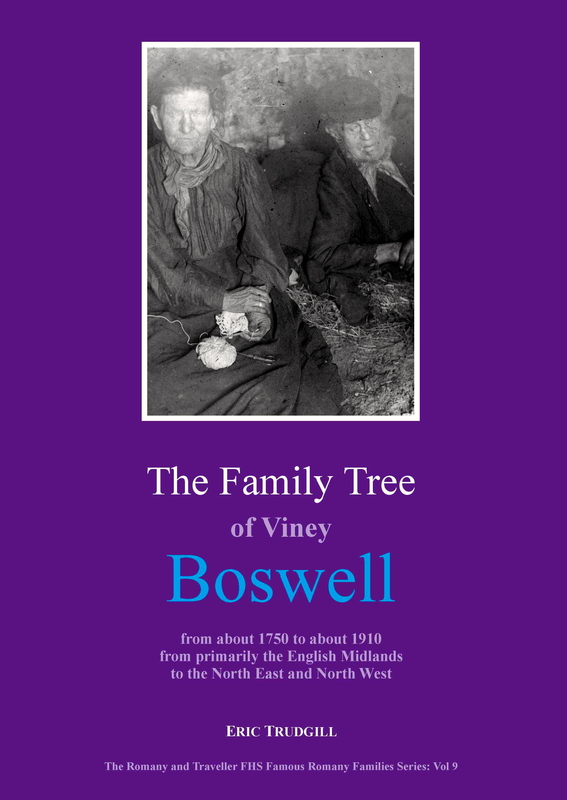 This is a genealogical study of one of the most celebrated, prominent and ancient families in Britain’s Romany community, the Boswells. 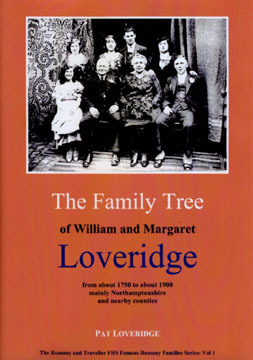 It examines their famous and infamous early figures, their family ties and their family legends, from their likely origins during the English Civil War to the dawn of the Regency period. 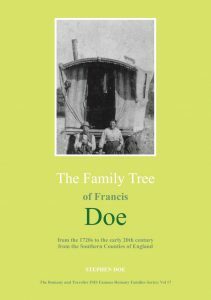 Also included in the book is an extended introduction to the genesis and development of the wider Romany community from Tudor times. 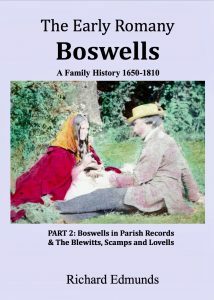 There is a companion volume – Part 2 below – which is a large database of Boswell references gleaned from historic documents. But both books can be read and enjoyed independently. 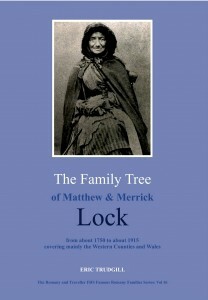 Price including UK P&P: £18.70. Or go to the RTFHS bookstall at GENfair to order online and pay by card. 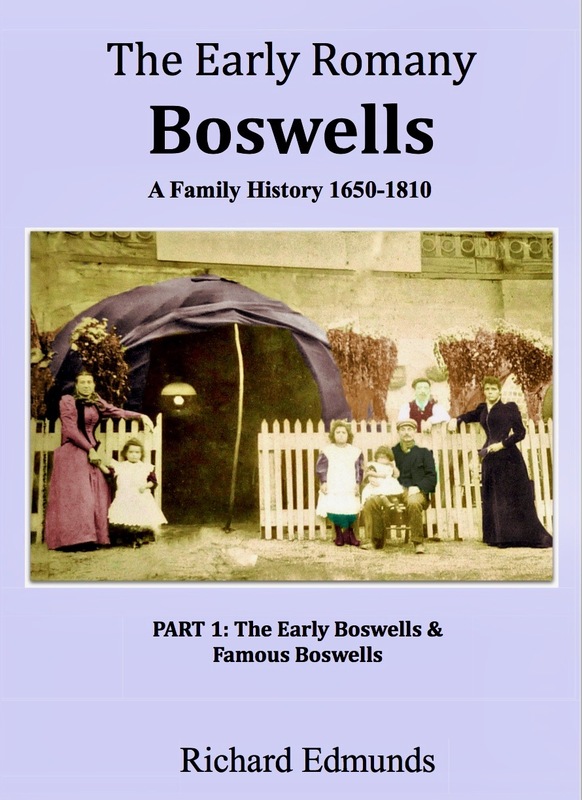 This is the companion volume to The Early Romany Boswells: A Family History 1650-1810: Part 1 – The Early Boswells and Famous Boswells, shown above. Part 2 is an extensive database of references from parish registers, newspapers, Poor Law Papers and other sources, both for the Boswell family and for the other Romany families most closely linked to them: the Blewitts, Scamps and Lovells. 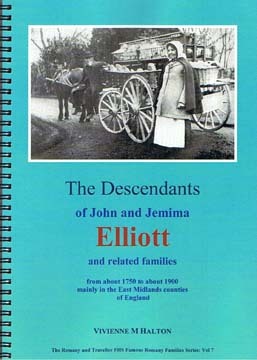 The Blewitts are an influential Romany family that to date has been largely overlooked by the Gypsy family history and social history experts of the past. Richard’s pioneering research brings them deservedly into the spotlight for what we believe is the first time in any written work. The book is an essential reference work not only for those who have Romany Boswell ancestors and who want to discover baptisms, marriages, burials and other sightings for them. It’s also of value to anyone whose people intermarried with or travelled with the large and geographically wide-spread Boswell family. Both books – Part 1 and Part 2 – can be read and enjoyed independently. 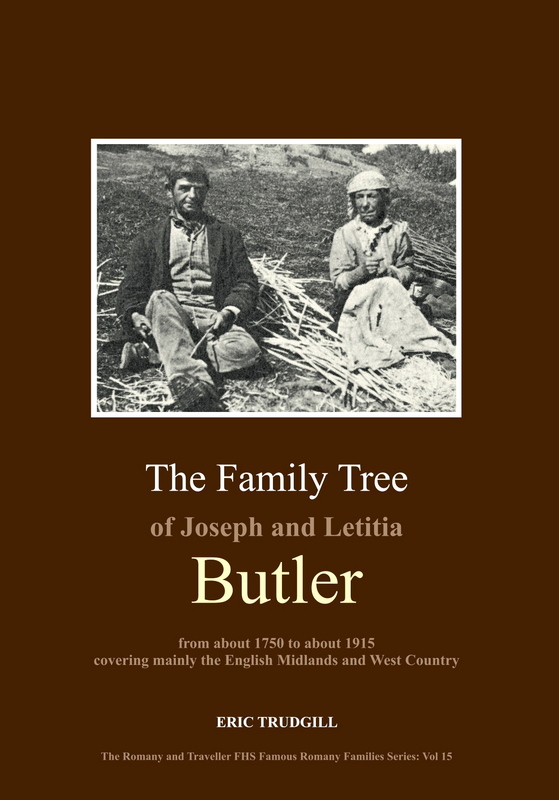 Surnames included in the book: Allen, Armstrong, Ayres/Eyres, Bannister, Barnes, Bailey, Bates, Beard, Beldham/Beldom, Berry, Blewitt/Blewett/Bluitt/Bluett, Bocking, Boiling/Boyling, Cooper, Costello, Curtis, Davis/Davies, Deago, Dicks/Dix, Dodo, Doe, Donea, Draper, Evans, Farnando, Faw/Faa, Fawtree, Finch, Fingo, Foster, Fowler, Gray/Grey, Gregory, Green, Hall, Harrison, Hearn[e]/Hern[e]/Ern/Heron/Herrin[g]/Herren, Henley, Hercoat, Hilton, Holt, Hughes, Husbands, Ingram, James, Jones, King, Knight, Lee/Leigh, Linyan/Linian, Lock/Locke/Locks, Lovell, Loveridge, Mason, Morrell, Nelson, Newcomb, Newberry/Newbury/Rewbrey, Parker, Pearse, Phillips, Price, Revill/Revell, Scamp/Skamp/Skemp/Kemp, Shandley, Sherriff, Smith, Stanley, Stevens/Stephens, Swales, Taylor, Volantine/Volantyne, Wainright, Watts, Waylan, White, Wilkinson, Williams, Wilshaw, Wood/Woods, Woodall, Young. Like to see what’s inside? Here’s are links to two sample pages from the book: page 6 and page 117. The Gypsy Lore Society (GLS) was formed in 1888 to record and preserve the lore and history of the Gypsies, who, it was feared, were disappearing from the commons. 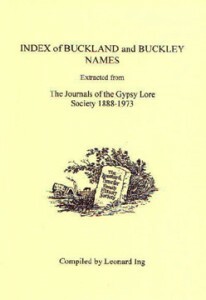 Some GLS members collected genealogical and biographical material and recorded much of it in the Journal of the Gypsy Lore Society (JGLS). 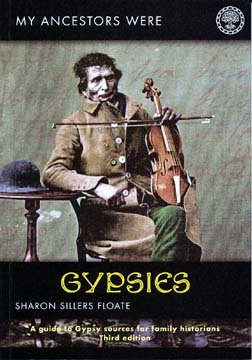 Unpublished material can also be found in the Gypsy Collections held in the Special Collections at the University of Liverpool. In more recent times, with the help of the huge body of historical documents now accessible in Record Offices, libraries and online, members of the Romany and Traveller Family History Society have added to and, in some cases, corrected this earlier material to create the family trees contained in the following, fast-growing Famous Families Series. 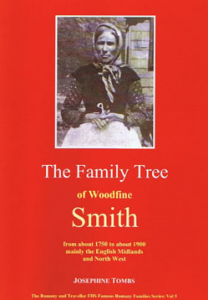 These publications do not claim to be definitive for any single surname but they are a vital resource and starting point for anyone researching travelling families. Here’s a Sample family tree page. Price including UK P&P: £9.50. Price including UK P&P: £8.50. 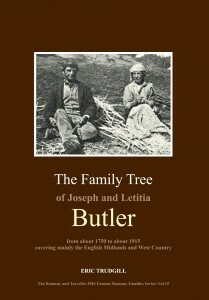 Price including UK P&P: £17.15. 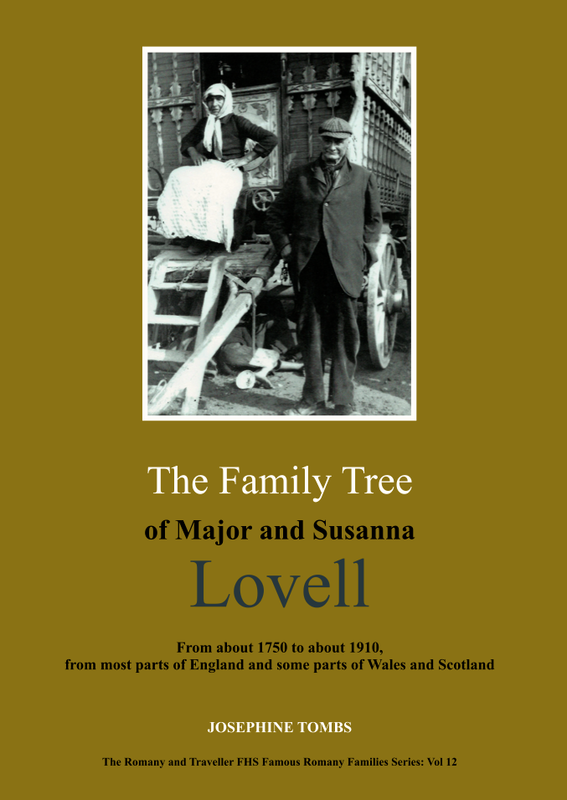 This is a companion volume to the book about Major Lovell below, Major and Daniel being brothers. Price including UK P&P: £10.50. 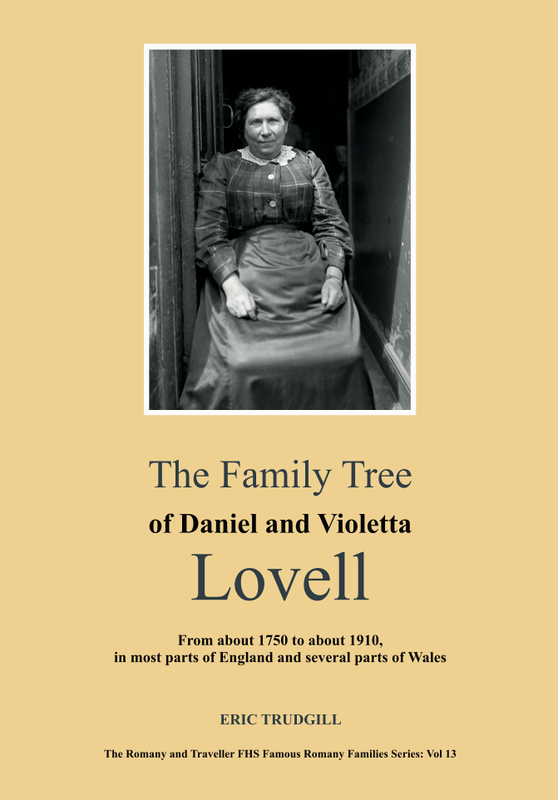 This is a companion volume to the book about Daniel Lovell above, Major and Daniel being brothers. PUBLISHED MARCH 2019: NEW UPDATED AND EXPANDED EDITION! 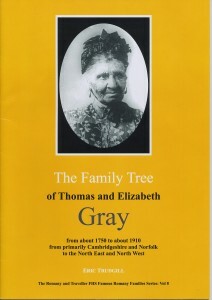 Surnames included in the book: Ayres, Barber, Barney, Bellows, Blake, Boswell, Bowers, Broadway, Bullock, Bundy, Cannon, Carter, Charman, Clark, Clease, Cleft, Colen, Cooper, Davis, Day, Deacon, Drake, Evans, Fletcher, Forty, Gardner, Goble, Goddard, Gregory, Griggs, Hawkins, Haynes, Hearn, Hicks, Hilden, Hooper, Hughes, Ivall, James, Jerrim, Lee, Light, Limburn, Messenger, Miller, Mills, Moore, Newman, Noyce, Oliver, Pearce, Perren, Pidgeley, Pike, Proudley, Puttick, Rolph, Rook, Sands, Sawyer, Scamp, Short, Smith, Spencer, Strange, Tapps, Townsend, Ware, Weeks, Welch, Westwood, Whale, White, Wittle/Whittle. 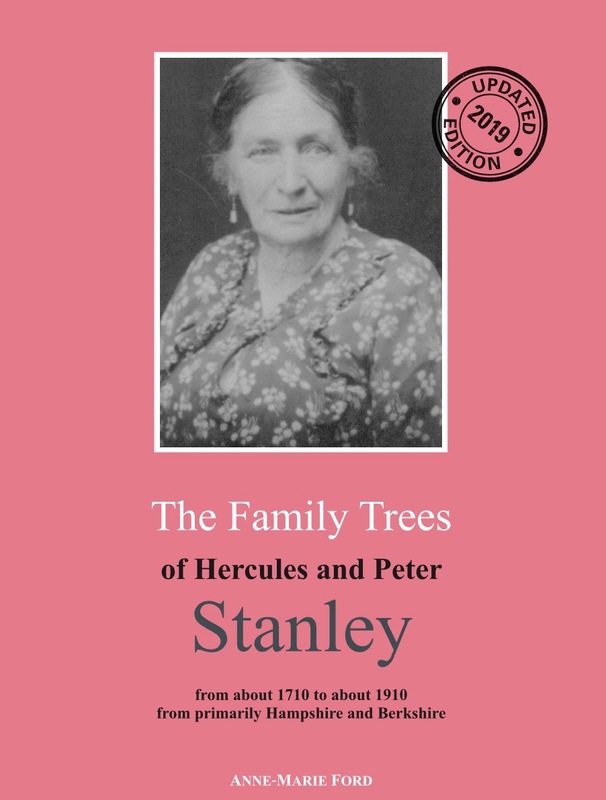 This updated and expanded edition of The Family Trees of Hercules and Peter Stanley reflects finds from the many new family history sources that have become available since its first publication by the RTFHS in 2013. 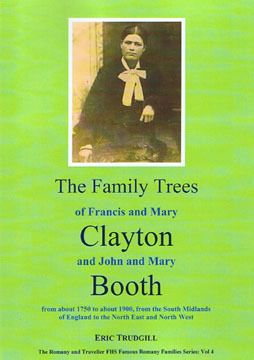 The author Anne-Marie Ford, a widely recognised expert on the Romany Gypsy Stanley family, has been able to add new branches and individuals to the original trees through her continued dedicated research and discoveries both in archives and in online databases, making it a must for anyone tracing the Stanleys and associated families. Before the author began her pioneering study of the Stanleys, almost all that had been written about the family concentrated on their lives in the USA, following a 19th century exodus from Britain. 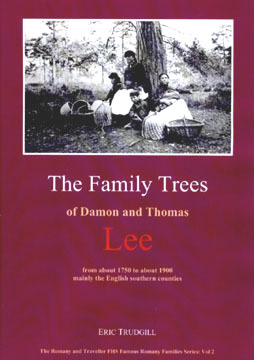 In this book the author has corrected the imbalance by – quite literally – taking the Stanleys back to their origins in Southern England. This volume focuses on the Stanleys in their home territories of Berkshire and Hampshire. 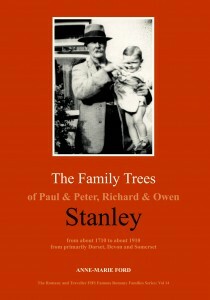 Also published by the RTFHS – see below – is a companion volume : The Family Trees of Paul & Peter, Richard & Owen Stanley. 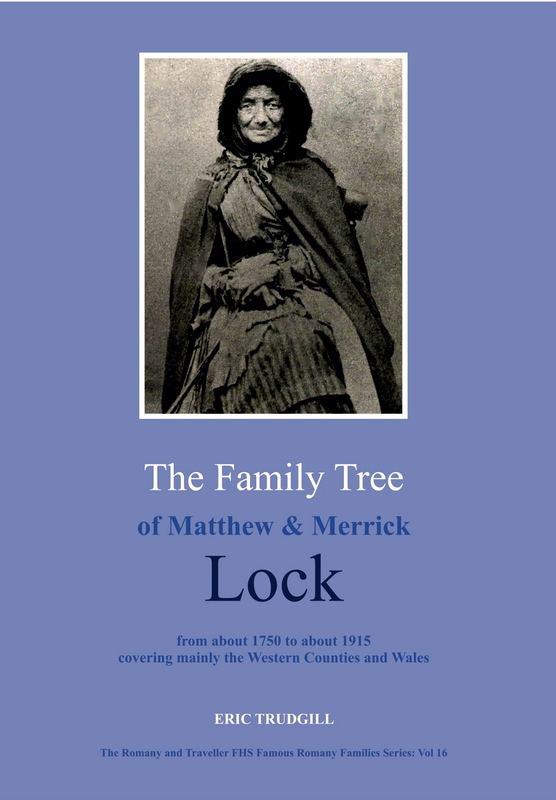 This follows the family as they move further west into the counties of Dorset, Devon and Somerset. Price including UK P&P: £11.70. 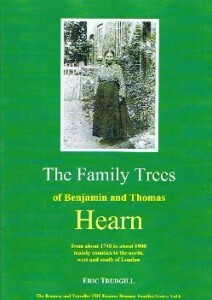 Surnames included in the trees: Ayres, Ballam, Bowring, Brewer, Bridle, Broadway, Bryer, Buckland, Bullock, Burton, Cherrett, Cooper, Cox, Create, Davis, Day, Drake, Fletcher, Greening, Hardy, Hayward, Hicks, Holloway, Ingram, James, Jeff/Jeffreys, Jerrard, Joles, Keat, King, Lee, Manley, Mills, Mitchell, Oliver, Packman, Parsons, Phillips, Pitcher, Richard/Rickard, Scamp, Scarrett, Scriven, Seller, Small, Smith, Spencer, Streck, Tapps, Tomkins, Trowbridge, Tuck, Wallis, Wellings, Wells, Wellstead, Westlake, Wharton, White, Whittle, Wills, Williams, Young. Before Anne-Marie Ford began her pioneering study of the Romany Gypsy Stanleys, almost all that had been written about the family concentrated on their lives in the USA, following a 19th century exodus from Britain. In this book the author has corrected the imbalance by – quite literally – taking the Stanleys back to their origins in Southern England. This volume focuses on the lives of the Stanleys in the counties of Dorset, Devon and Somerset. 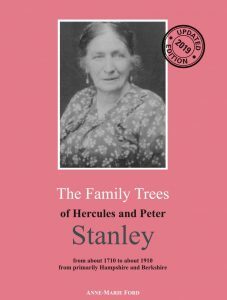 Also published by the RTFHS – see above – is a companion volume: The Family Trees of Hercules and Peter Stanley. 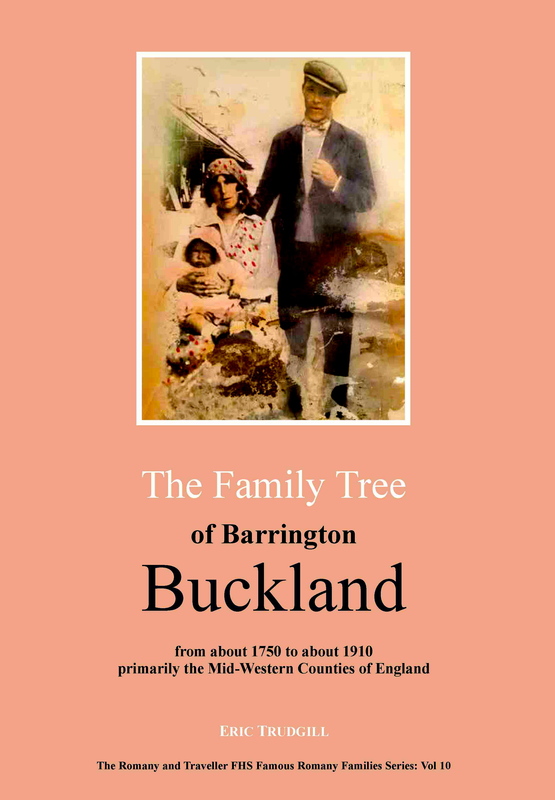 This is now available in a new updated and expanded edition (March 2019) and covers the family in their original territories of Berkshire and Hampshire. 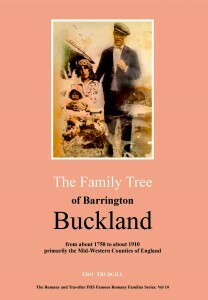 More than 300 references to about 200 Buckley and Buckland Travellers. 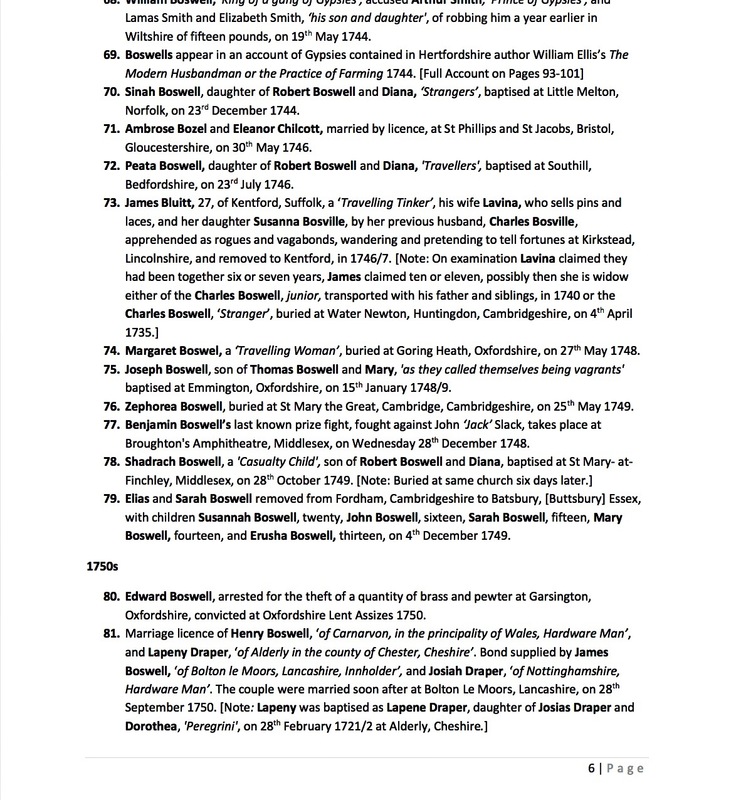 References to more than 50 other surnames. 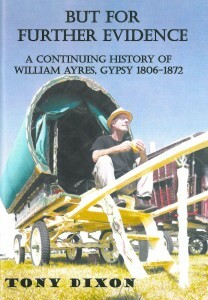 A guide to the wealth of information to be found in the Journal of the Gypsy Lore Society. A5, 48 pages. Price including UK P&P: £3.55. Price including UK P&P: £11.15. 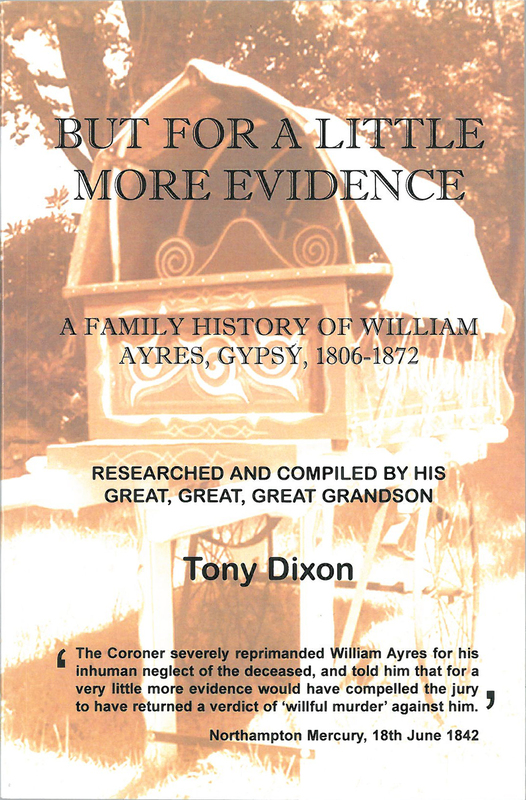 In this follow-up volume to his book But for a Little More Evidence – a Family History of William Ayres, Gypsy, 1806-1872, Tony Dixon provides us with new information about William’s father, also a William, and members of his extended family. 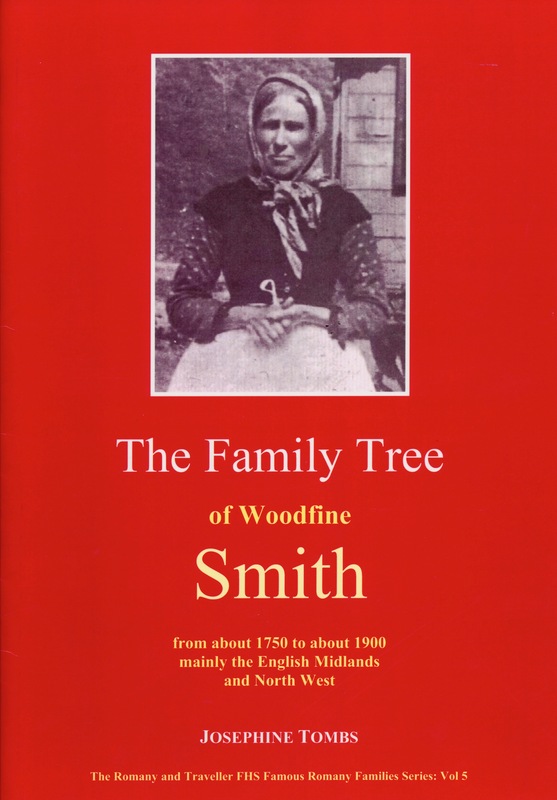 There are also further connections with the Smith and Hearn travelling families of the South Midlands. About a third of the book covers the building of a beautiful bowtop living wagon, illustrated with black and white photos. A5, 60 pages. 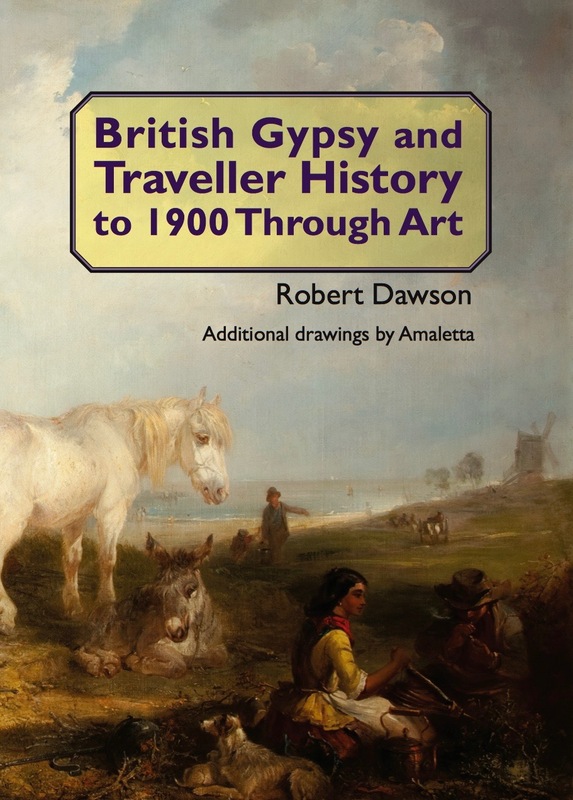 Price including UK P&P: £7.20. 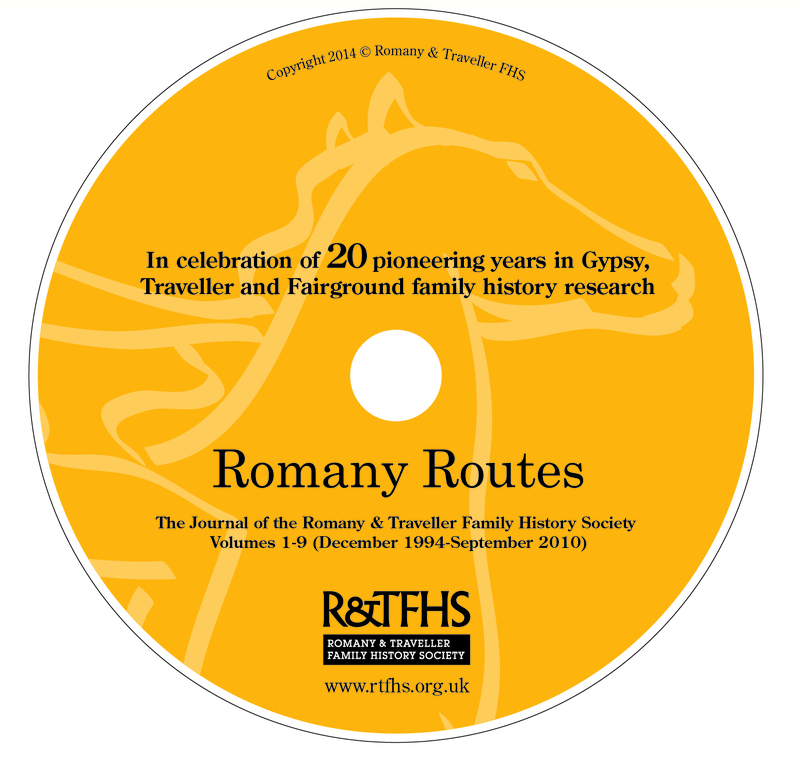 This booklet is a transcript of the talk given by Geoff Boyce at the RTFHS Society Day on 11 June 2016 at Waltham St Lawrence, Berkshire, accompanied by many illustrations from Geoff’s PowerPoint presentation. It has been self-published by Geoff so that people who weren’t able to attend the Society Day can find out more about his research into his own Boyce ancestors and their connections to Joe Beckett, the longest reigning undefeated British Empire Heavyweight Boxing Champion of all time. 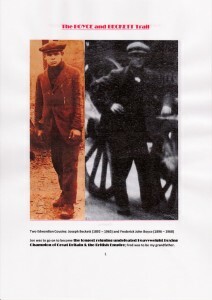 Joe was the paternal first cousin of Geoff’s grandfather. The chapters include: 1. Contact is broken, lost and re-established; 2. The Historical Research trail; 3. Oral Testimony; 4. 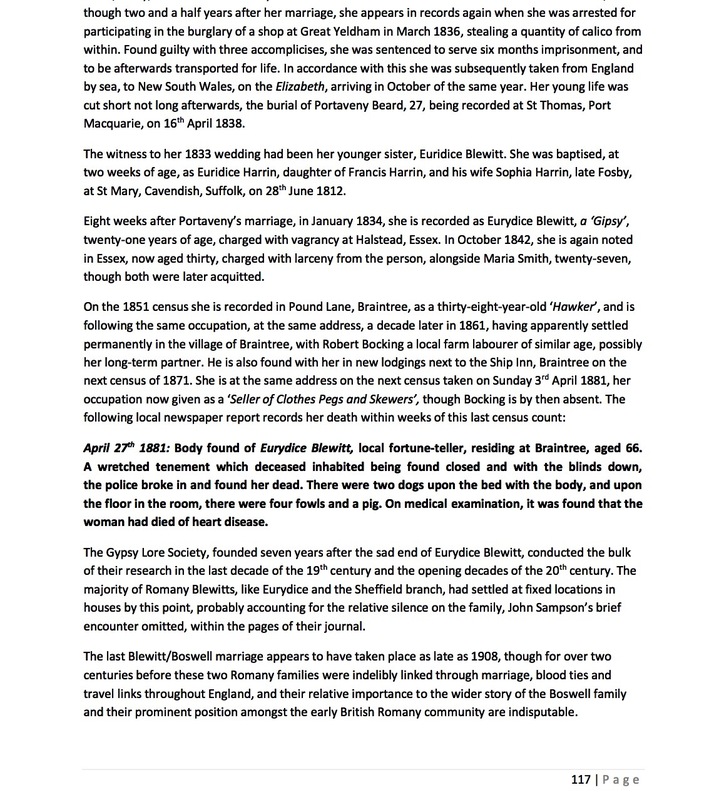 The Documentary Evidence; 5. Joseph and Samuel together in 1861; 6. Boyce or Beckett in the 1850s? ; 7. 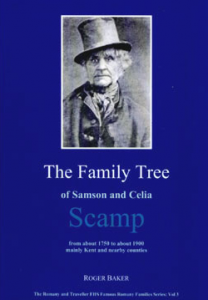 The 1851 census – Joseph and Samuel together; 8. Before The General Registration And Census Records; 9. The Two Surnames; 10. Frankham Or Beckett? 11. Boyce Or Beckett Or Both? 12. Too Many Becketts? 13. Etty Boyce (c. 1781-1837); 14. Joe’s Paternal Family Tree; and 15. Joe’s Family. 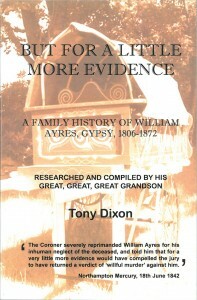 Price including UK P&P: £5.00 when ordered direct from the Society. 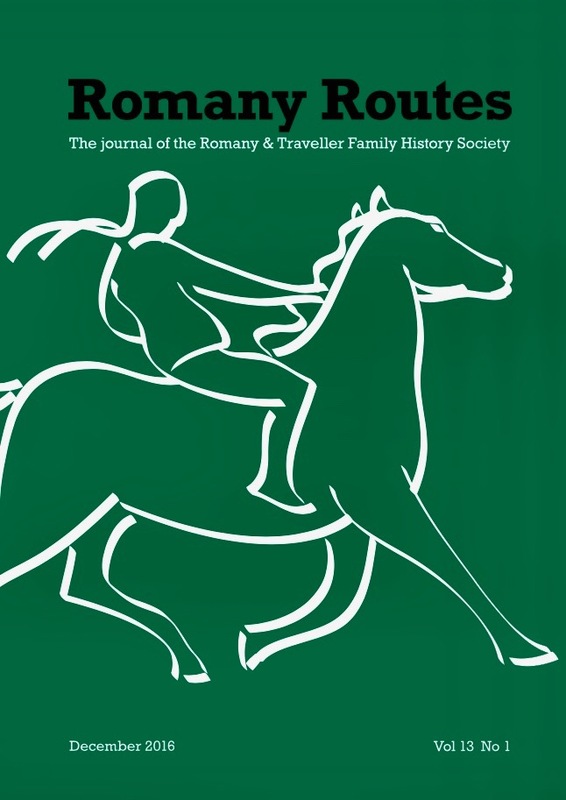 Complete this RTFHS Publications Order Form March 2019 to order by post and pay by Sterling cheque.